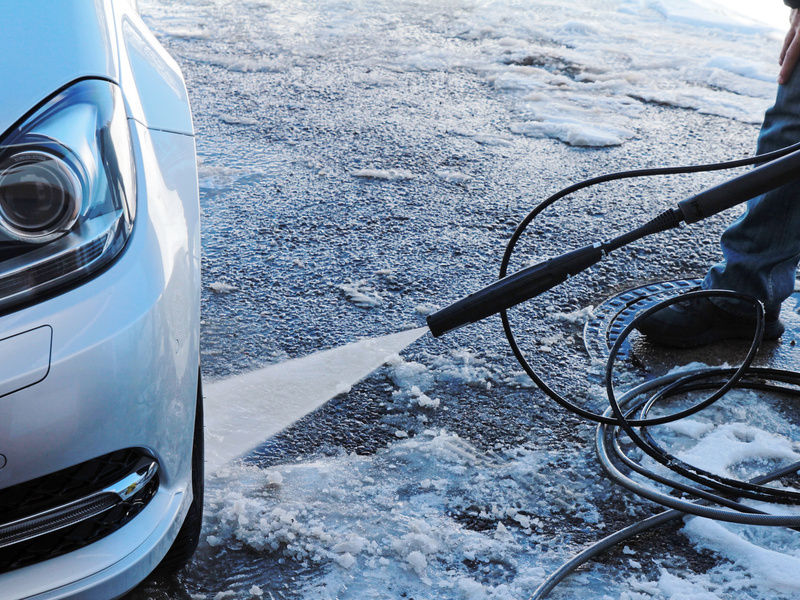 How Often Should You Wash Your Car During Winter? More than just the occasional cleaning is the way to go. Having the right winter car kit is important, as is proper car care when the temps drop. Everything about winter car care is amplified compared to the other three seasons. The elements and road conditions just wreak havoc on your automobile, but it's also harder to take care of things because winter makes getting out there more difficult. People just want to get to work and back home without having to worry about car care. Don't let your car get this grimy this winter, and it's more than just about looks. But the reality is that it's important if you want your car to last. Car washing is a vital part of that, especially during the harsh winter months. You know you should wash your car, but that's about it. So, what are some tips for car washing? How often should you do it, and what's the best way? Let's take a closer look and give you some pointers on what to do this winter, regardless of whether your car is new or you've owned it for years. One big fat reason why you need to wash your car throughout the winter. The American Automobile Association (AAA) encourages car owners to regularly wash their vehicles because of the severe damage road salt and ice melter chemicals can have on your car. So, washing is more than just about making your car look good (which doesn't even last very long in winter, frankly). Road salt can corrode the underside of your vehicle and especially damage sensitive brake lines. This is why you need to get the undercarriage washed often. It costs a couple of bucks extra and may seem like a gimmick, but it's there for a reason. It's the part of the car that gets the most exposure to road salt, so why not make sure it's taken care of all winter? You can't rustproof brake lines as you can the frame of the vehicle, so they're vulnerable. Spend that extra couple of dollars, and get the undercarriage washed. A hand wash facility is ideal, but one that's automatic and gentle is good, too. We've all gone to those cheap car wash stations where you do it yourself with the high-pressure spray gun. While those seem to do the job to get the ice out of the wheel wells and the grime off the car, there's no way to dry the vehicle. It's easy to get water in locks and on other moving parts that will freeze if the temps are cold enough. It's ideal to go to a hand wash facility that will dry your car by hand and make sure there's little moisture left. But those can get expensive, and not everyone wants to spend $10 and up to get their car hand washed. Instead, take it to an automatic wash that's gentle, has an undercarriage wash option, and has a good dryer to make sure as much water as possible is removed before you exit. Keep in mind that washing your car repeatedly is good for your car's finish because it removes road grime and salt, but it can also beat up your car's clear coat and paint over time. Make sure you get your car waxed before things get really bad, and then get it waxed again during the winter at least once more. What this does is create a barrier so repeated washes aren't as damaging. You still need to keep washing your car all winter, but the fact that your car is protected will ensure that you get the most effectiveness out of washing while still keeping the paint intact. It may cost you $60+ to get the wax done professionally, but it's way better than seeing your car's paint pit and fade after a few tough winters. Keep all of the above tips in mind this winter, and your precious vehicle will be far better off in the short, as well as the long run.